We are ready to start your survey. Give us a call. 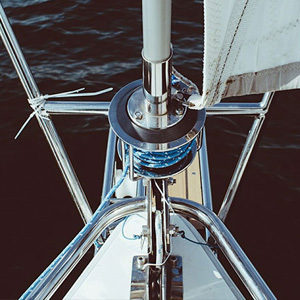 Monak Marine Surveying provides comprehensive inspections covering all electronic systems in a vessel as well as structure, cosmetic condition, findings or recommendations, and valuation. 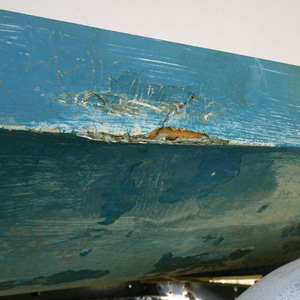 When a boat has suffered any damage large or small, a trained eye is required to determine the extent of damage, review all repair estimates and report information to your underwriter. This will assist in making quick and informed decisions regarding repairs needed. I have inspected hundreds of damaged boats and have the experience required to help get your boat repaired and you enjoying your boat again. Estate settlement, taxes, donations and court cases are common requests for appraisals. 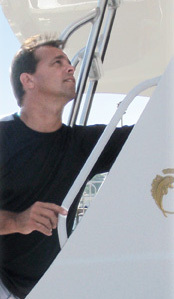 The process is normally not as intense as a purchase survey and a fair market value is established after verifying identification of the vessel and then using different tools at my disposal such as value guides, proprietary vessel sold databases, standard scales of depreciation, and my professional opinion. A pre-purchase survey goes into great detail about all systems aboard, structure, and attached to the boat. This survey displays all information about the boat to help clients with their decision on the purchase of the boat. Also, insurance carriers periodically require a survey for policy renewal. This survey will give you the same detail as a pre-purchase survey for your records and provide your carrier with all the information they require. 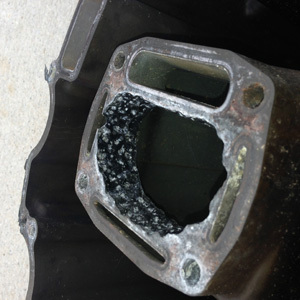 Normally performed with the boat in the water using a meter and a silver-silver chloride half-cell probe placed in the water, I will than test all metal fittings to determine if any stray electrical current is affecting the fittings. In addition I test the shore power supply on the dock and the water around your boat – all these things can play a part in helping me get to the root of the problem. David Monak started working at marinas in the 1980’s. He performed repairs and installations on nearly every system of boats. Although repairs on wood, fiberglass, and aluminum boats came with the job. his expertise was more on electronic installation, electrical repair, underwater hardware, toilet and fresh water system repair. David started Monak Marine Surveying in 1996 and became a AMS (Accredited Marine Surveyor) in 1999. In 2007 he made the jump to full time surveyor. His experience working on boats helps him understand what to look for in boats and in turn will help you receive a certified survey. The survey includes first and foremost a very thorough inspection of the vessel. Once the inspection is completed I will do research to determine Fair Market Value for the vessel surveyed. Once completed, a typed detailed report including identification of systems, Findings and Recommendations, and Fair Market Value (sample reports are available to examine). Under normal circumstances my normal turnaround time for completed report is 24-48 hours. Once the report is finished it will be emailed on a PDF file. Upon request I am willing to send a hard copy to you by mail. Photos are taken throughout the process of the survey. You receive these photos by mail on a CD which will contain anywhere from 250-500 photos. If you choose, you may also download your marine survey report and view photos of the vessel via a username and password. Q. What guidelines do you follow? You bet. I am located on Lake Erie in Huron, Ohio. My surveying travels have taken me as far as Buffalo, NY, Cincinnati, Ohio, Indianapolis, Indiana, Traverse City, Michigan, Chicago, Illinois, Florida and numerous locations in between. Although there is usually an extra charge involved, my clients enjoy the peace of mind, that I am performing the survey. Q. Are you a boater? Yes marine surveyors do find time to boat. My wife purchased a 1959 Lyman 19’ Runabout for my boys and I as a Christmas present. The boat needed new decks, windshield, bottom 1/3 of the transom, gunwhales, and paint job. She thought it would be a nice project for the boys and I. With the help of my cousin Brian Monak, Jaret and Caden and I worked on it for 2 years before she saw the water, LOOKS GREAT! David, we were able to process the sale today because of your fast work! Thank you! Dave, Thank you for your help in the purchase of our new boat. Hi David, Thanks for doing our boat survey. It was a pleasure meeting you. I will gladly recommend your services to others. Monak Marine Surveying provides surveys on boats and other marine vessels on Lake Erie, the Great Lakes and other locations through appointments. Please fill out the following contact information form. Please allow 24-48 hours for a response and thank you for visiting. The Society of Accredited Marine Surveyors® (SAMS®) was established during the 1980’s by a small group of surveying professionals wishing to advance their craft. David Monak became an Accredited Marine Surveyor in 1999. ABYC Standards are the authoritative reference for evaluating issues of design, construction, maintenance and product performance and only ABYC members have verifiable 24/7 access to the standards.